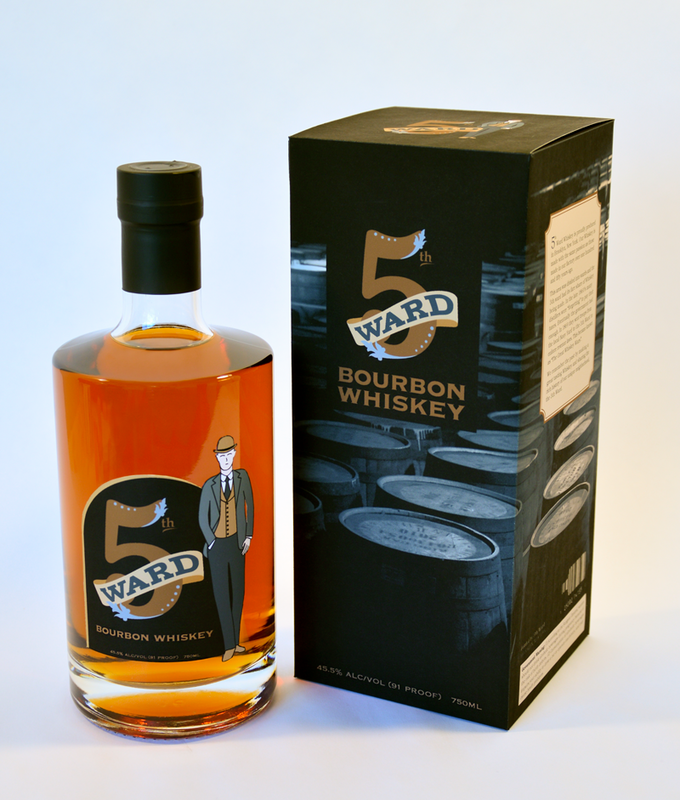 5th Ward Bourbon Whiskey bottle with box. 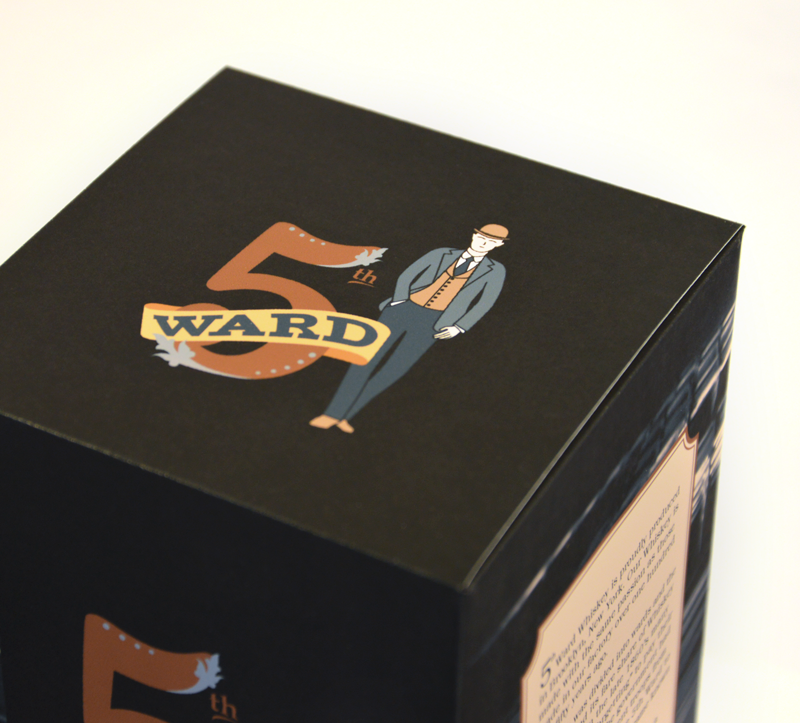 5th Ward box top highlighting the logo. 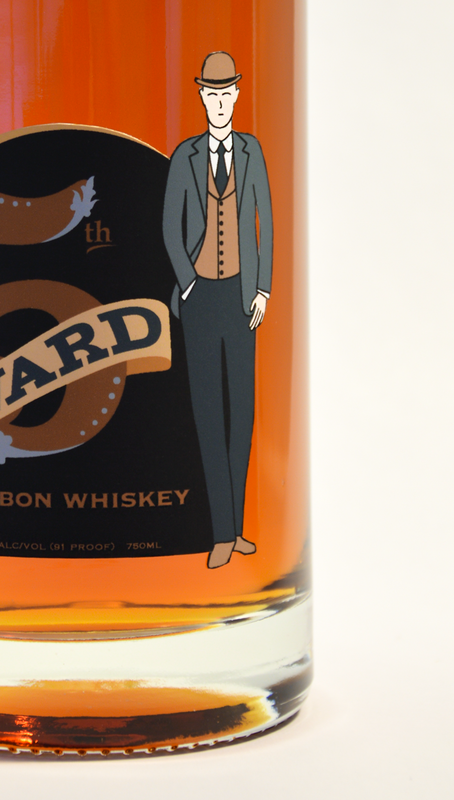 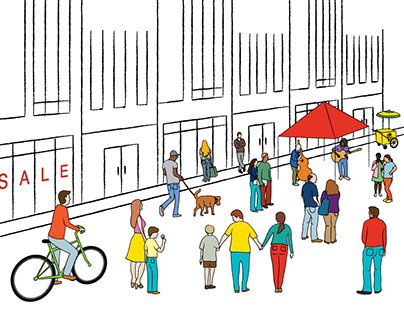 5th Ward label showns this smartly dressed gentleman in detail. 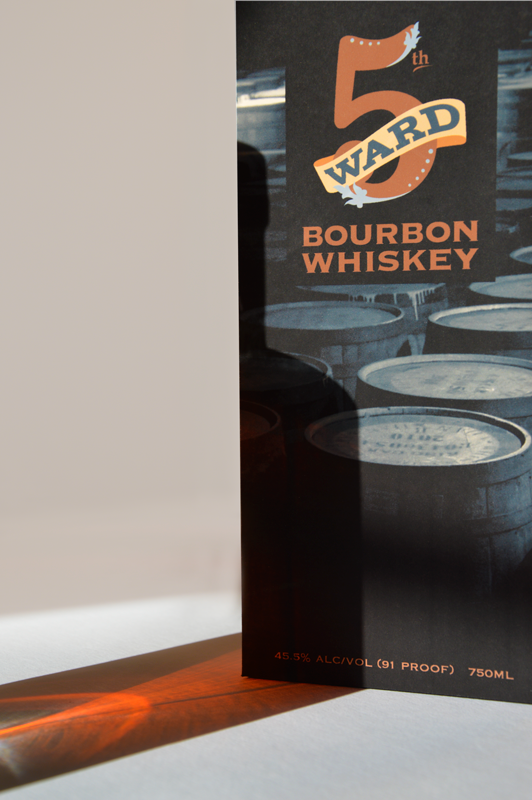 Sunlight through Whiskey leaves a ghost of the bottle on the box.